In a world of unopened emails and crowded inboxes, a simple handwritten Thank You note can really go the extra mile in making a lasting impression. Yes, technology tends to be more convenient (and EASY! ), but taking those few extra seconds with a pen and piece of paper is a special touch that sets you apart. But what most people don’t realize is that writing notes gives you a professional advantage too! 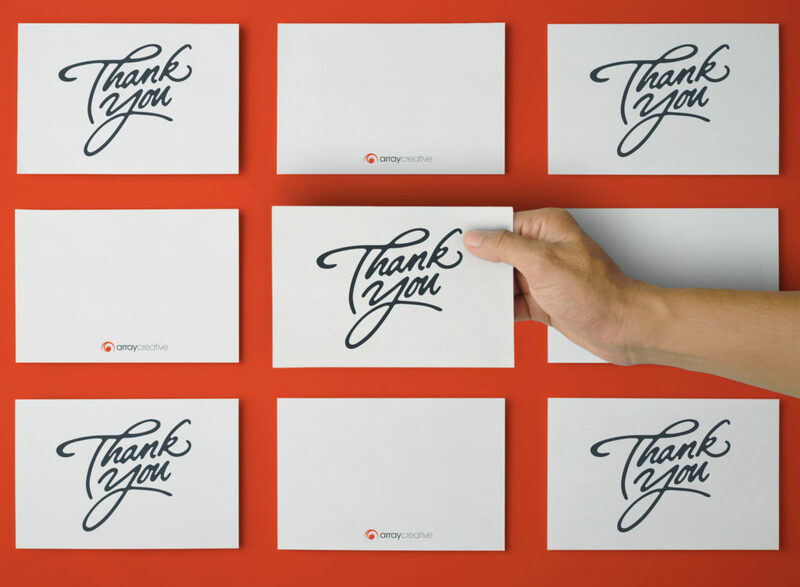 3 Ways Thank You Notes Can Help Your Business! One attribute all professionals have in common is the understanding of the importance in creating solid relationships that will last long-term. A note thanking someone is a simple act that does wonders in strengthening vital relationships with not just clients, but co-workers too. Time is something most of us don’t have a lot of during the workday, so taking a few minutes to formally thank someone makes them feel special while showing how appreciative you are! Most of us are familiar with how competitive getting a job can be, and the only way to stand out is to do something that, well, stands out! Saying thank you has become a rarity. Take advantage of this by showing someone appreciation. It’s amazing how two simple words can set one person apart from the rest. In a world of mailboxes overflowing with spam and magazines, it’s a nice change receiving something personalized. Whether it’s a potential client or current one, any interaction is crucial in maintaining a great impression. While everyone seems to focus on first impressions (which are still important! ), a great professional knows that the effort doesn’t end there. 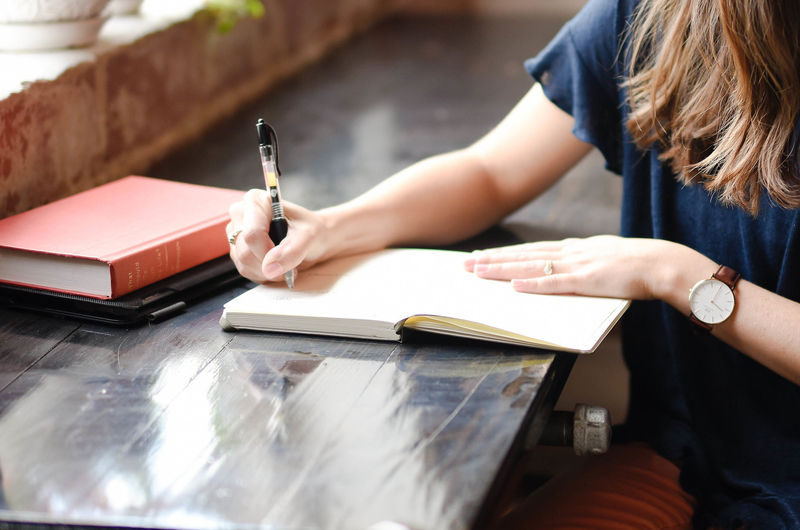 Writing a thank you note can continue to help the way someone positively perceives you. However, if you may have made a not-so-great first impression, don’t count yourself out! Thank you notes have the power to make a difference and sway the tides in your favor. For all the do’s and don’ts on writing a great thank you, Help Scout is the perfect go-to to avoid any note mishaps. And with tips and templates for every thank you note occasion, The Balance has everything you need to get started. Soon you’ll be on your way to creating your one-of-a-kind Thank You! Array is ever-focused on staying on top of marketing trends, so of course, we jumped at the chance to personalize our own branded Thank You card! With so much dedication to our clients, it can be hard to take time to create something for ourselves, but we never stop placing value on building and maintaining relationships. Reaching out to someone to say ‘hello’ or ‘it was great meeting you’ builds a solid foundation for making a business connection that could potentially turn into a client partner. After 3+ years of being on our to-do list, we finally revamped our Array Creative signature look with a new card design! We opted for a Luxe Postcard, printed with Moo, one of our favorite online vendors. Uncoated and naturally textured makes our thank yous ‘extra-thick and extra-fancy,’ bound to leave a lasting impression. Our brand orange is even integrated into the colored seam! Having trouble coming up with the perfect design for your brand? We’re happy to help! Drop us a line and let us know what you’re thinking, our team can create thank you notes (or even Christmas cards!) for your business. Check out a few of our favorite designs below for a bit of inspiration.